Not all the couturiers of the world have collected in Western Europe. Not all the fashion designers presenting their haute couture pieces at Paris Fashion Week are born in Italy, Spain or France, either. Some of the greatest artists come from another part of the world, where the language is Slavic instead of Latin-based, where the fashion industry is inspired by vastly different designs, and wherein Ulyana Sergeenko can be hailed the Red Queen by fashion media outlets. 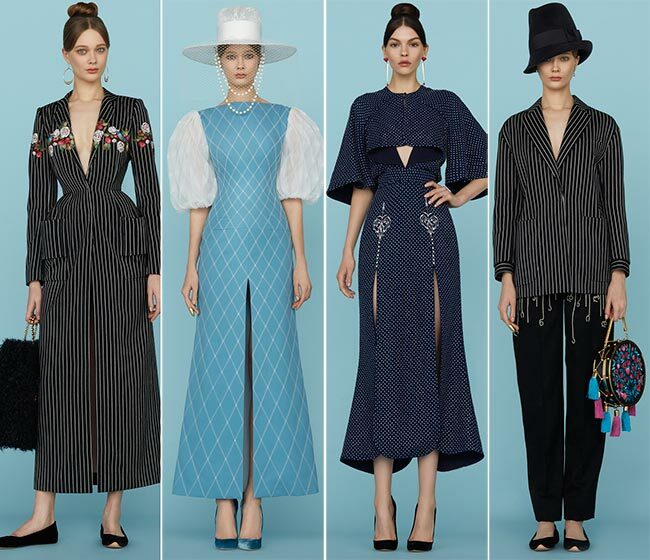 The Russian couturier and street-style star is certainly not one to miss a grand opportunity to showcase her amazing works, and we are extremely glad to see that. 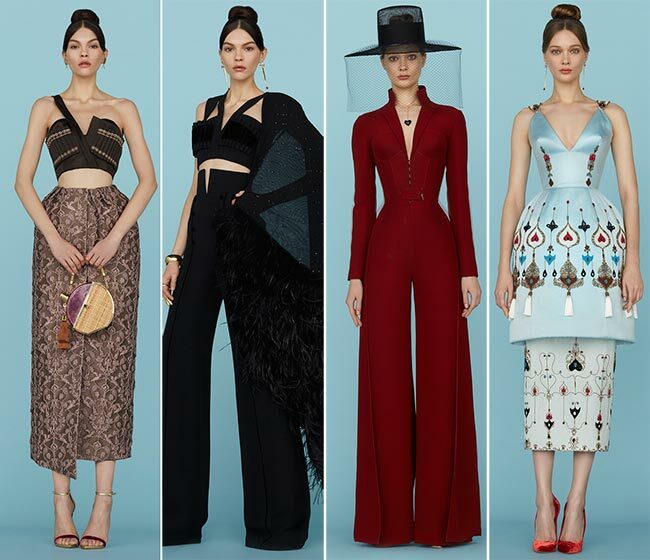 She devoted the breathtaking Ulyana Sergeenko Couture spring/summer 2015 collection to her family and the Caucasus, bringing a high dose of drama and romance to the scene. The 33-year-old designer and fashion blogger was born in Kazakhstan, while her marriage to Russian-Armenian billionaire Danil Khachaturov opened up the world of fashion more clearly. With her contributions for top designers gone without due credit, Sergeenko decided it was time to create her own line, an eponymous fashion label that would be founded in 2012 in Paris. She utilizes much from Russian military, literature and fairy tale influences, while her husband’s Armenian background also opens up new cultural advantages that make her designs positively unique. 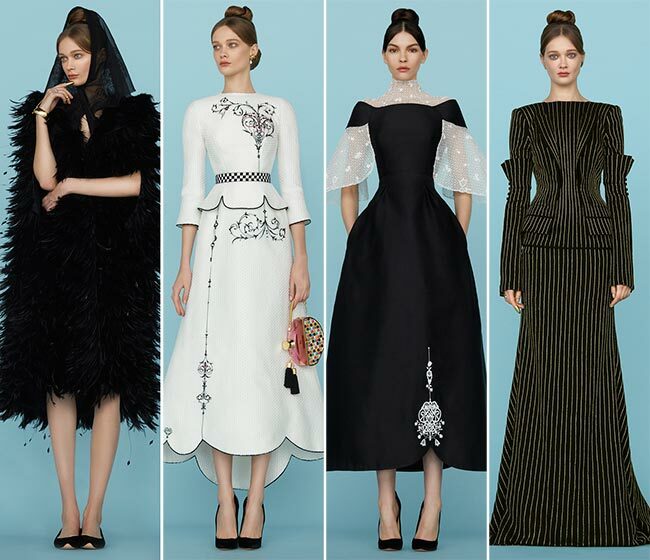 The Ulyana Sergeenko Couture spring/summer 2015 collection itself was inspired by Georgian and Armenian costumes, an artistry that has been developed throughout the past century. The main source of inspiration was Sergei Parajanov’s “The Colour of Pomegranates’ silent film, with specifically olden Armenian motifs present throughout the collection. Whether the designs appear on the hems of the skirts or the edges of those slits high on the thighs or even simply swirling all around the place, the evidence of the cultural mix is quite evident. Unfortunately, too many from the West would miss the references. Sergeenko’s collection looks to be something out of a dream, where there seems to be no common theme, but each piece is more enticing, more extravagant, more unbelievably imaginative than the last. One trend that does flow seamless across the board is the hairstyle, wherein the center parted long hair is pulled up into a sleek top knot, the colors keeping to dirty blondes and golden browns. The shoes tend to stick to flat heels, though it appears as if the shining velvet pumps in a multitude of colors are strong competition. You do find ankle strapped sandals as well, alongside simple peep-toes. And when it comes to those arm candies, we simply swoon! Lovely horse, rooster, sheep and other animal motifs smoothly translate into little bags, which are quite like real pieces of art. Equally bedazzling is the Georgian drums resembling handbag patterned with blossomed pomegranate tree motifs. 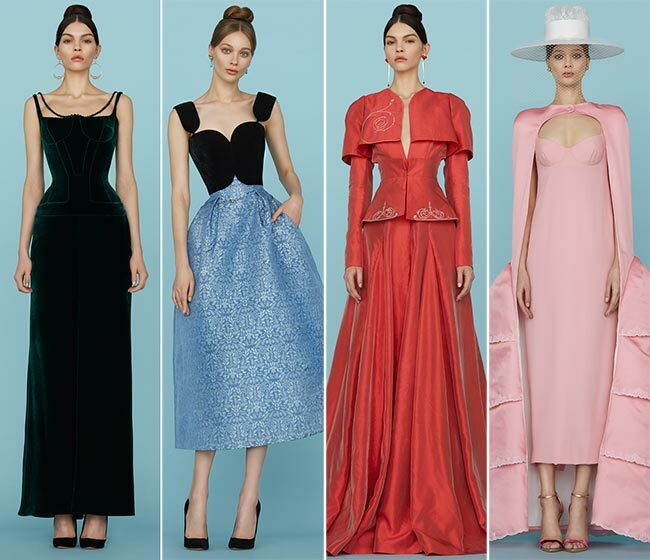 There is very little continuity when considering all the 36 pieces in the Ulyana Sergeenko Couture spring/summer 2015 collection. Some of the more intriguing pieces include the Armenian-themed designs at the beginning, with the flower petal style hems and focus on a more demure look. Even the third number to be presented has a rather conservative meets modern feel, with a strapless gown that has a flown train and falls closer to the ankles in the front. The black headscarf offers a rather interesting old-fashioned look that captures one’s attention as well as that feathery handbag. Feathers do appear to be trending among many of her other pieces as well. The curved flower petal hem translates into puffed skirt dresses as well, particularly one specific white lace design that we’ve fallen in love with. It’s simply delectable, like a good fairy out of a children’s tale. The off-the-shoulder cut at the top and the triangular sliver of skin on the abdomen present a more modern look to the otherwise enchanted princess from the snow-capped mountains of Russia. 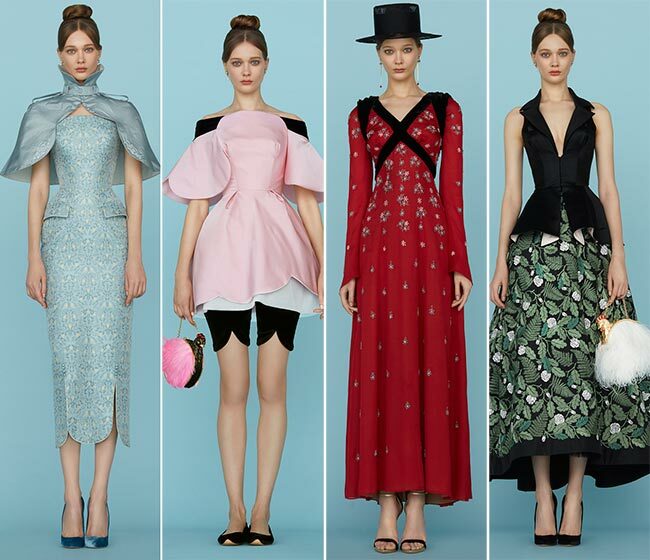 Each piece is just a bit more adorable than the last, and Ulyana Sergeenko is certainly one couturier worth taking seriously. The Czarinas are certainly back, to quote the New York Times.